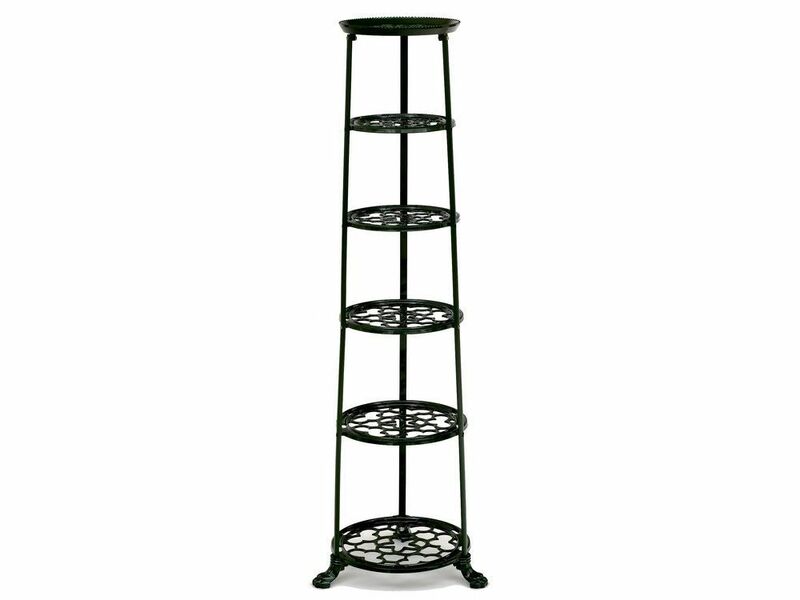 This 6 tier pan stand comes in a forest green colour and is made in the UK, so you know it's a quality kitchen accessory that's built to last. Each shelf is cast in aluminium with ornate cut-outs giving a lovely decorative effect, making it as much kitchen decor as it is a storage solution. The legs are made of steel and the cast iron lion feet are widely spaced for sturdiness, even when fully laden. The saucepan tower saves space in your cupboards by tidying your pots and pans in style. Other pan stands are available in various colours, both in 6 or 4 tiers, so there's one to suit all kitchen themes.